Learn how to apply the analytical tools of macroeconomics to current events and policies by exploring theory, research, and policy on the leading edge. 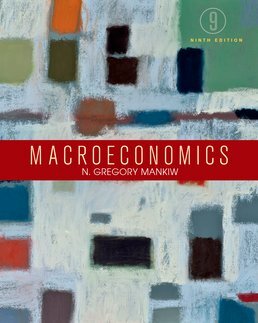 Macroeconomics explains intricate concepts related to macroecnomics with perfect clarity, sharing emerging macro topics and frontline empirical research studies. 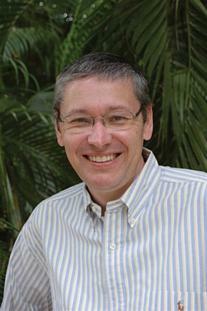 N. Gregory Mankiw is the Robert M. Beren Professor of Economics at Harvard University. He began his study of economics at Princeton University, where he received an A.B. in 1980. After earning a Ph.D. in economics from MIT, he began teaching at Harvard in 1985 and was promoted to full professor in 1987. At Harvard, he has taught both undergraduate and graduate courses in macroeconomics. He is also author of the best-selling introductory textbook Principles of Economics (Cengage Learning). Professor Mankiw is a regular participant in academic and policy debates. His research ranges across macroeconomics and includes work on price adjustment, consumer behavior, financial markets, monetary and fiscal policy, and economic growth. In addition to his duties at Harvard, he has been a research associate of the National Bureau of Economic Research, a member of the Brookings Panel on Economic Activity, and an adviser to the Congressional Budget Office and the Federal Reserve Banks of Boston and New York. From 2003 to 2005 he was chairman of the President’s Council of Economic Advisers. Professor Mankiw lives in Wellesley, Massachusetts, with his wife, Deborah; children, Catherine, Nicholas, and Peter; and their border terrier, Tobin.